Are you tired of “dealing with all those impossible people at work?’ After a period of time in any job, the honeymoon will be over and the personalities come out. Albert J. Bernstein and Sydney Craft Rozen call these Dinosaur Brains . Learn about the many components of the brain including; impulsiveness, fight/run, dominance, territorial, romance, and placing blame to name a few. The authors provide a lot of insight into behavior…maybe even your behavior. Berliners woke up on a summer day in 1961 to find that soldiers from communist controlled East Berlin had constructed a barrier between themselves and West Berlin. Comprising mostly of barbed wire, and armed guards, the wall was soon constructed to be a more permanent barrier. it was the age of wisdom, it was the age of foolishness. . . . I heard on the news today that President Bush (yes he still is President) commuted the sentences of two border guards, Ignacio Ramos and Jose Compean. The trial, conviction and sentencing of Ramos and Compean became a rallying point for many who believe that our elected politicians want open borders. Why was Tigger searching in the toilet? He was looking for Pooh. 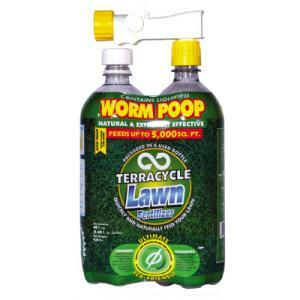 My local Home Depot sells Worm Poop in a bottle. That is a classic joke. Something about a little potty humor usually gets a good laugh. One of the things that I am asked to do as part of my job is to give school presentations. A concept that I often mention is that the fancier the name that you can give something, the higher the price you can charge for it. We Need A New P.C. Imagine being one of only few in a place dominated by others who are different than you. Your career is spent in a rather hostile environment and your peers always seem to be against you. Conversations stop when you enter a room. People are trying to get you fired. Your choices seem limited to either cowering or quitting. Mike Adams is a criminology professor at the University of North Carolina-Wilmington. Mike is a conservative professor at a university dominated by liberals. He has found a different way to deal with being a minority on campus. He pushes back and uses humor. I had heard Mike S. Adams several times on radio interviews and found his stories outrageous, funny, and frightening. Frightening that his experiences are actually happening in this day and age. The summer of 2008 seemed to be my season for spy novels. I read Assassin by Ted Bell and could hardly put it down and ended up buying three of his other books. They were just as entertaining. Alex Hawke is a wealthy British man who fights evil throughout the world. He has a great supporting cast and gadgets that would make 007 jealous. It has been over ten years since Disney released A Bug’s Life. Our children were young and we faithfully took them to see it and a year later we met many of the characters when we took our children to Disney World. One of our favorite attractions was the 3-D It’s Tough to be a Bug in the Animal Kingdom Theme Park. I have a theory. The effectiveness of a meeting is inversely proportional to the number of people attending the meeting. Most anyone working for any length of time has been to meeting Hades. The worst of the worst seem to be regularly scheduled staff meetings. The more frequent the meetings are scheduled the more tedious that they tend to be. One of the worst that I experienced was a weekly staff meeting. They were scheduled for Monday mornings at 7:00 am. There were typically only six of us that attended regularly and they started off ok. After a few months, the charm wore off.